World renowned Kruger Canoes is a family owned business, and a builder of what may be regarded as some of the finest tripping canoes and kayaks on the market today. The designer of these boats, Verlen Kruger, was a specialist in expedition paddling, logging over 100,000 miles in all conditions. Over 40 hull prototypes were built and then refined to arrive at the current models in production today. These canoes and kayaks are rugged, efficient, and comfortable boats that are offered with many standard and additional features. 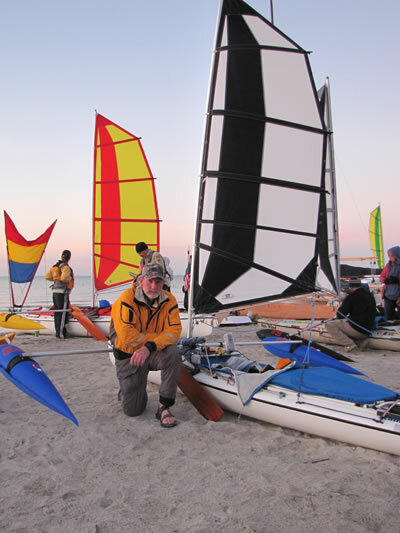 Balogh™ Sail Designs is proud to have the Kruger Canoes company provide custom installations of our sails and outrigger systems. Any of our sails, whether the Batwing™, Twins™, or Classic Canoe will be compatible with their wonderful boats. Contact Mark Przedwojewski at Kruger Canoes, mark@krugercanoes.com or David Valverde at BSD, davev@baloghsaildesigns.com for advice on determining the best combination of components for your boating needs. Visit www.krugercanoes.com for more information. 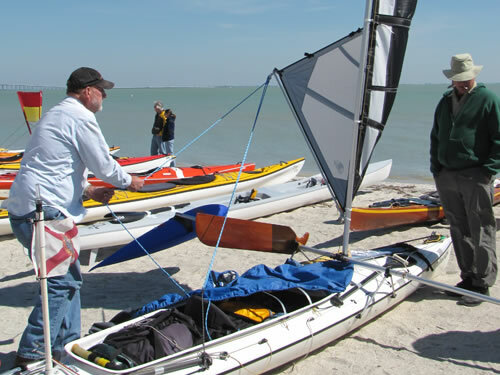 Slide show of competitors at the Florida Challenge 2010, at the beach and launching.